Fall is Around the Corner – Class Time! Hope you all are having a great summer – it’s going to be over sooner than we think!I want to share a couple of exciting events coming up in the next few months as summer comes to end and our beautiful fall weather begins. 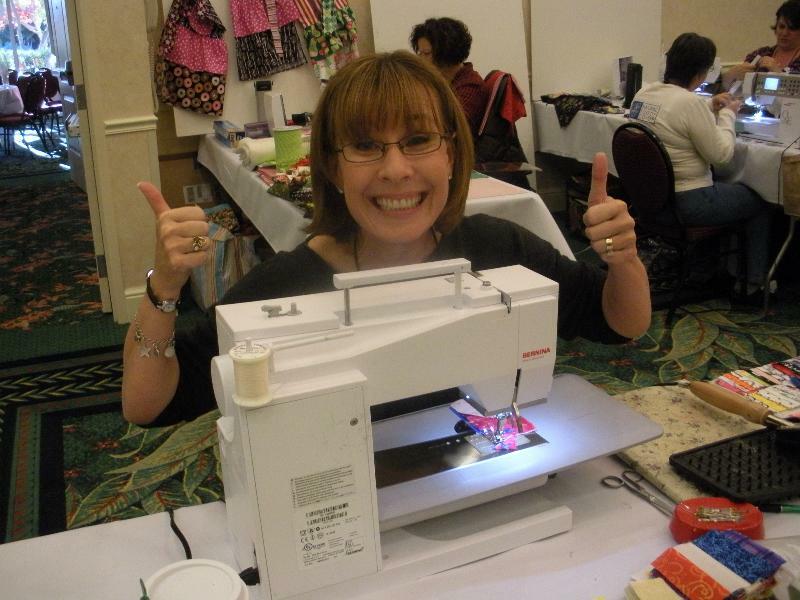 I look forward to meeting you soon – and we quilters do get around! It’s time to play and create at Alden Lane. Please join me in March for my three day signature class – I am super excited about this – I haven’t had the opportunity to “Star Gaze” in a hands on work shop with fellow quilters in a long time! In addition – I will be bringing a LOT of my stash for people to work with – Space is limited – call today! Enjoy Alex’s signature class during this 3 day, hands on work shop. 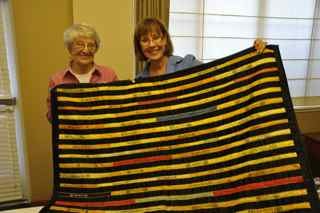 Recently I had a wonderful opportunity to share some of my quilts with a retirement community in Livermore. Although there were only a few quilters in the crowd, we had a full house of delightful ladies and one man. 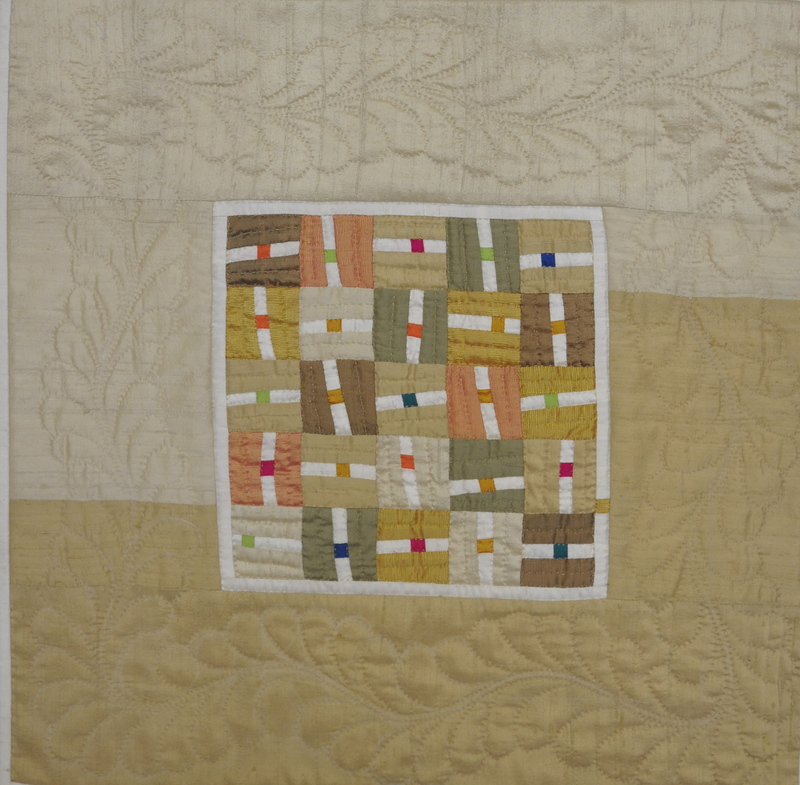 I brought both historical quilts and contemporary quilts – including traditional and art. After my show and tell was over, a resident brought down her show, share and tell. My socks were knocked off when she revealed this cigar band quilt. It was started in the 1920’s and recently finished. Many times when I see “rescued” quilts, the work doesn’t put the original top in the best of light. However, this was quite the different situation. The quilt was/is pristine! 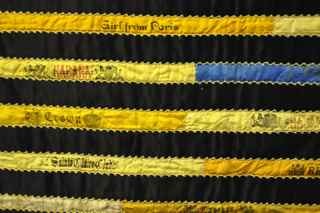 I have seen a few cigar band quilts – but NEVER one like this. 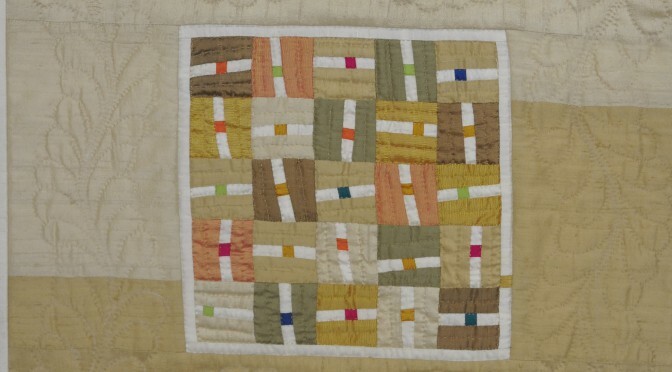 I would appreciate any input you might have to this style of quilt and perhaps its value. VOTE FOR ME- Go team Feed Dogs! Last year at Houston Festival I was recruited to help raise funds for Ami Sim’s Alzheimer Quilt Initiative. 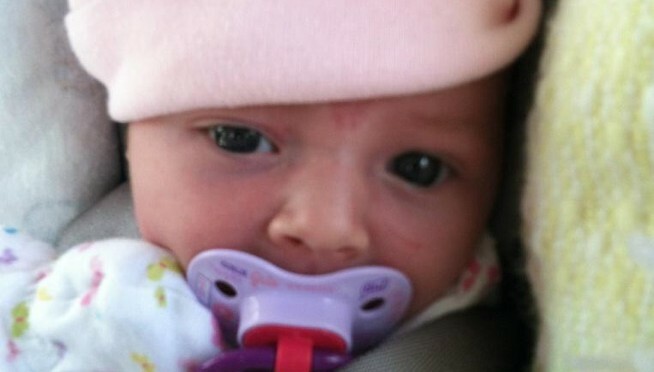 Ami has taken this torch very serious since this horrid disease took her Mom’s mind and ultimately her life. 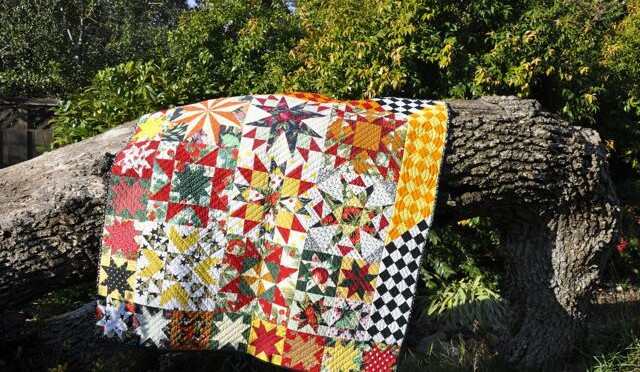 Every year in the fall there is a “quilt off” between two teams of today’s “Super Stars”. Money is earned two fold. 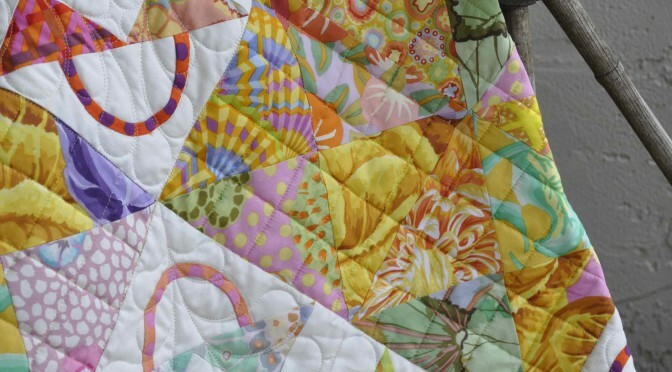 First off, you can vote for your favorite quilt by simply pledging $1.00 per vote. Secondly, the quilts ultimately go for auction. These precious babies measure 16″ x 16″. I was both horrified and honored when I was asked to participate this year – I was delighted to be a part of Ami’s efforts – but horrified when I saw the “greats” who were participating. 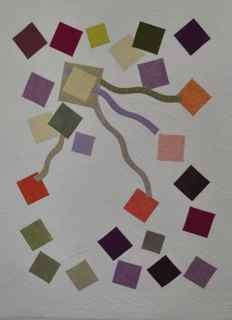 In the end I turned to silk and hand quilting…….Please go here to vote for Pedro – and that would be me. Go team FEED DOGS! 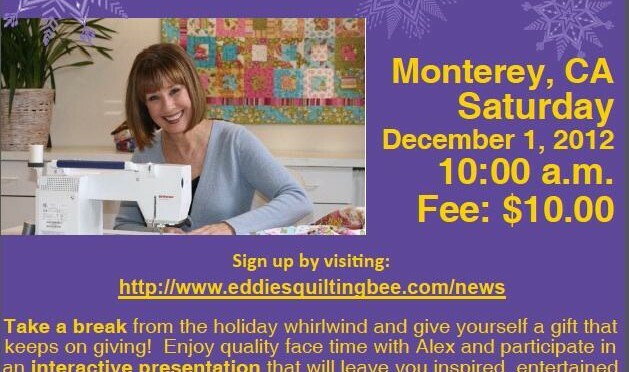 Start Quilting with Pam Kitty Morning and ME! 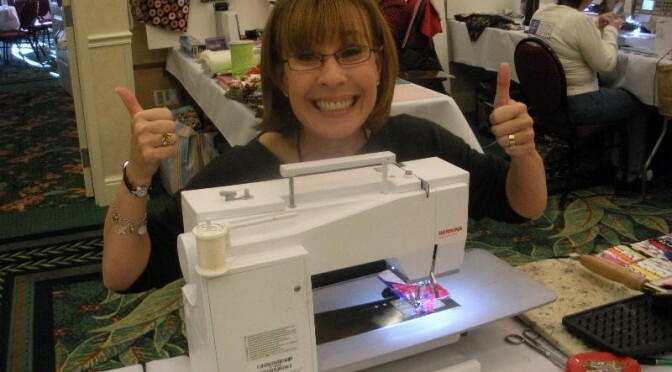 My buddy Pam Vieira – McGinnis is over the moon with her new fabric line (Lakehouse Fabrics ) called Pam Kitty Morning – The perfect name for such a fun fabric line by top of the blog list -Queen Pam! This deliciously playful collection debuted this past spring market and has 63 flavors to choose from. It can’t get yummier than that! Pam offered to make the quilt from my Start Quilting DVD (C&T publishing). In addition, we have provided instructions for this great beginning quilt. 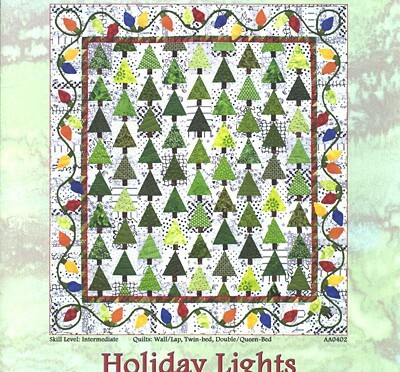 The pattern is also perfect for a seasoned quilter who wants to whip out a quilt in no time. 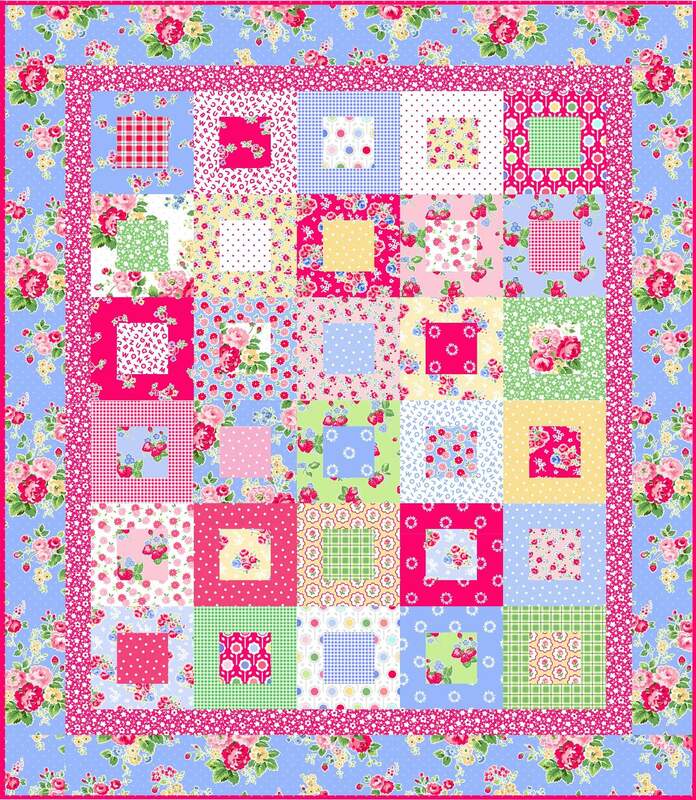 To download the pattern go here and to order my Start Quilting DVD go here. Last but not least, call your local Quilt Shop to make sure they get their (and your) hands on this fabric.. We both wish for you that every day is a Pam Kitty Day Morning!